RANCHO TEHAMA RESERVE, Calif. -- A neighbor of a Northern California gunman told a judge earlier this year that she and her family lived in fear of him because he was violent and unpredictable, firing off guns at all hours and threatening her with "all kinds of perverted things." A sheriff's deputy on April 1 handed Kevin Janson Neal a court order to stay away from his neighbor Hailey Suzanne Poland and her family, and barred him from possessing guns. 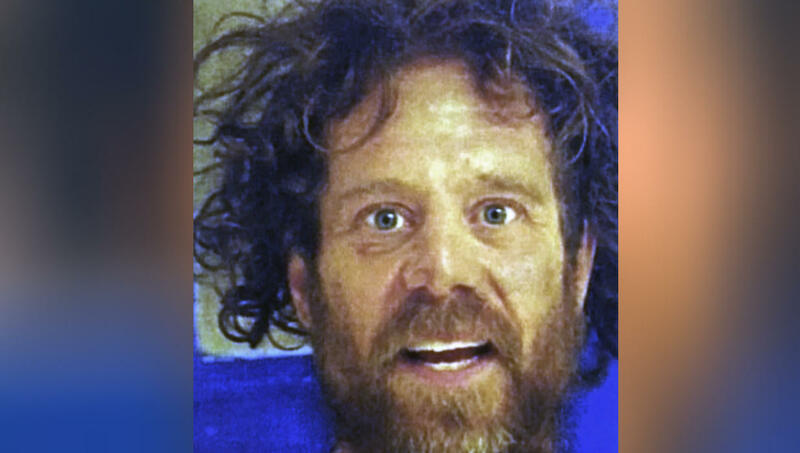 On Tuesday, Neal embarked on what authorities called a "murderous rampage" through a neighborhood in Tehama County about 130 miles north of Sacramento. During the rampage that lasted 25 minutes, Neal tried to get into Rancho Tehama Elementary School. Neal reached the school as teachers were completing lockdown procedures, CBS News correspondent Jamie Yuccas reports. He rammed the gate with his truck at the north end of campus. He then exited the vehicle with a semi-automatic rifle in hand. "Our head custodian, who was shepherding kids in a class, poked his head around the corner to see what it was, made eye contact with the shooter," school district Superintendent Rick Fitzpatrick told Yuccas. "The shooter engaged him and almost immediately had problems with his rifle. It looks like it jammed. Those few seconds that the custodian was able to distract him allowed us to get those kids into the room." Without being able to gain entry, the shooter became frustrated, opened fire on school buildings and eventually left. "His face was full with violence, and quite frankly the word that easily comes to mind is evil," Fitzpatrick said. "There was no doubt in my mind that he intended to take life and as many as he could." Neal killed five people and wounded at least eight others before sheriff's deputies fatally shot him during a gun battle, Johnston said. Several other neighbors had repeatedly reported that Neal was firing hundreds of rounds at his property. At a tense news conference Wednesday, Johnston initially said Neal "was not prohibited from owning firearms" but later acknowledged the protective order against him. After being pressed by reporters on why police did not act when Neal was in clear violation of his court order, Johnston obliquely replied: "The law is only for people who obey it." The incident underscores the difficulty of enforcing restraining orders when suspects ignore them, Loyola Law School professor Laurie Levenson said. "Law enforcement often doesn't realize it has a problem until it's too late," Levenson said. Neal was arrested and charged with stabbing Poland and attacking her mother-in-law during a Jan. 31 encounter in their rural neighborhood. Poland filed for a restraining order a week later, writing in a plea to a judge that Neal "is very unpredictable and unstable ... has anger issues." Tehama County district attorney Gregg Cohen said he sought a protective order for Poland and her mother-in-law after Neal's release from jail on bail. "Simply put, the victims were very scared of him," Cohen said. The gunman's sister, Sheridan Orr, said her brother had struggled with mental illness throughout his life and at times had a violent temper. She said Neal had "no business" owning firearms. At Wednesday's news conference, Johnston conceded that neighbors had repeatedly complained about Neal firing hundreds of rounds from his house. Johnston said authorities responded to calls several times, but the 44-year-old Neal wouldn't open the door, so they left. "He was not law enforcement friendly. He would not come to the door," Johnston said. "You have to understand we can't anticipate what people are going to do. We don't have a crystal ball." The evidence that emerged Wednesday, however, along with residents' statements raised questions about whether lawlessness was occasionally tolerated. "There's hardly any police presence out here," said Dillon Elliot, who moved away in 2001, though his parents still live there. "Every so often you'll see them if it's super bad." He said his father, who was on the homeowners' association board, was threatened in the late '80s and early '90s during a dispute with a neighbor and deputies never responded. "It's almost like they think we're lawless out here and they just don't care," he said. Police found the bullet-riddled body of Neal's wife stuffed under the floorboards of their home in the rural community of Rancho Tehama Reserve. They believe her slaying was the start of the rampage. Neal then shot two neighbors in an apparent act of revenge before he went looking for random victims at the community's elementary school and several other locations. Six-year-old Alejandro Hernandez was in his classroom when one of Neal's bullets came through the window and hit him in the chest. His aunt, Rosa A. Monroy, said he was at a Sacramento hospital awaiting surgery on his foot. It's not clear when they will operate on the more serious wound to his upper chest and right arm, she said. "I just pray that we can all be strong together," she tearfully told a crowd of dozens of people that gathered for a vigil to honor the victims on Wednesday night. Editor's note: The Associated Press had previously reported that Hailey Suzanne Poland was among the victims of the Tuesday shooting rampage in Rancho Tehama Reserve. CBS News has since confirmed Poland is alive and was not involved in Tuesday's shooting.